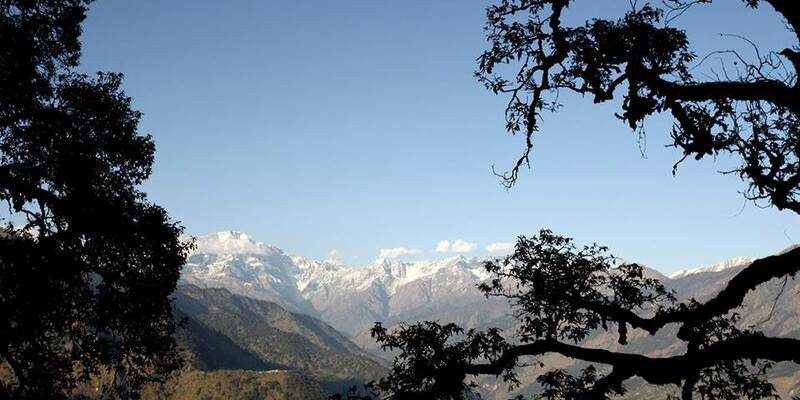 Remote, rejuvenating and peaceful, Shakti 360 Leti is located in the Bageshwar district north of the Kumaon villages; this little known region lies in the northern hill state of Uttarakhand. 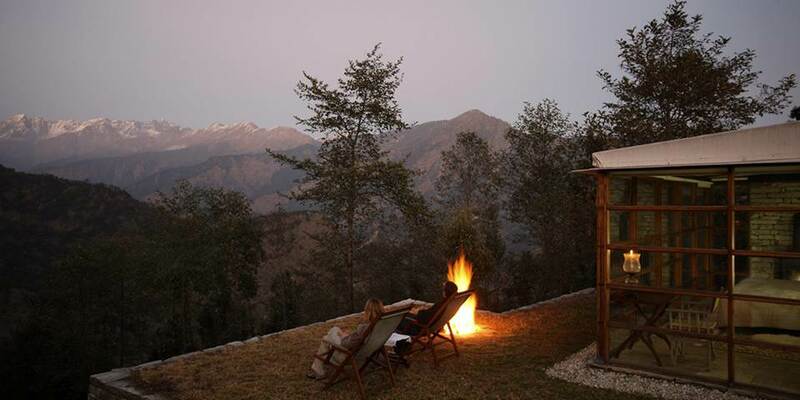 Set at 8000 feet in stunning mountain wilderness it offers some of the most amazing scenery anywhere, from the perennially snow capped peaks of the Great Himalaya range in the north to the pretty hill stations at the foothills. 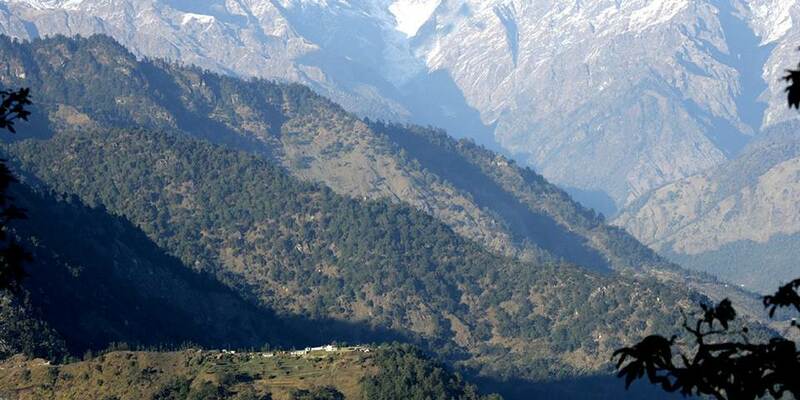 The area around Shakti is perfect for walking and trekking, an hour and a half away on a path surrounded by oak forests is a shrine dedicated to Lord Shiva, this fascinating deity of the Hindu religion, with its magnificent views over the surrounding countryside including the Heeramani Glacier. 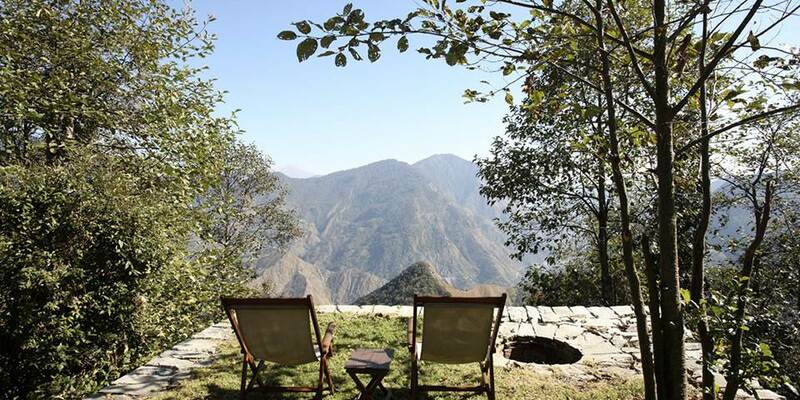 Pack a picnic, take a fishing rod and hike down to the river and while away the day catching fish, or use the serenity of the surroundings to meditate and practice yoga. 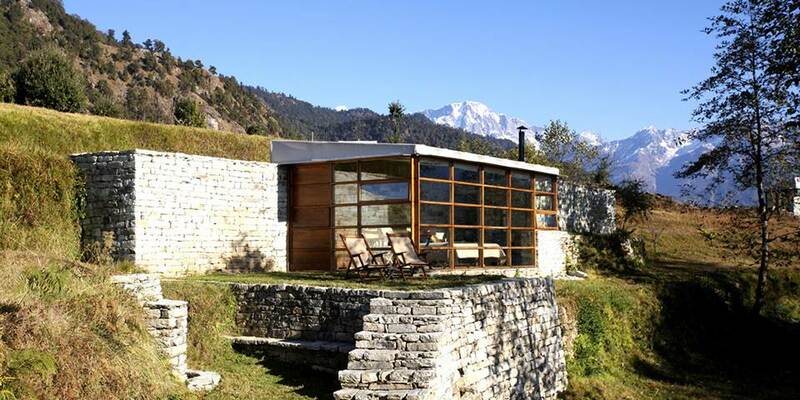 Shakti was conceived to share the rejuvenating effects of remote surroundings- to provide privileged access to places far removed from the noise and clutter of the modern world, where space, peace and epic landscapes provoke the imagination and nourish the soul. 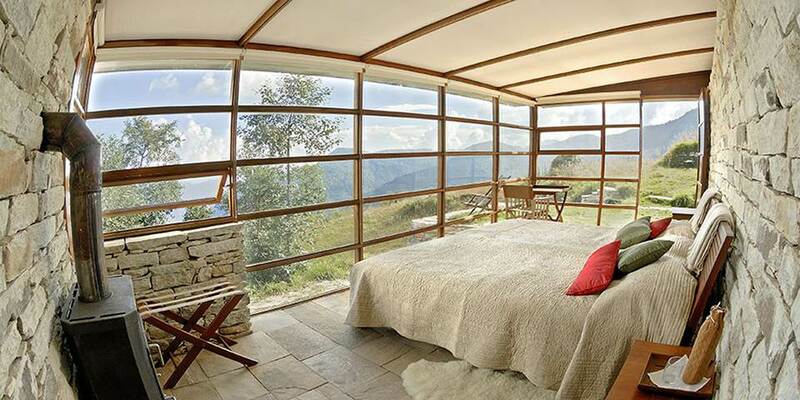 In these places of intense beauty with their deep soothing serenity, the traveller can slow down and simply “be”. The four beautiful guest pavilions have been built using age old local building techniques such as dry stone walling. Beds are comfortable and adorned with pashmina blankets and soft duvets, the living area is the haven where guests can curl up in front of the cosy fireplace and where gourmet food and fine wines are served. Outside, planters chairs are just made for lazing in the sunshine, soaking up the peaceful atmosphere while admiring the beautiful scenery.